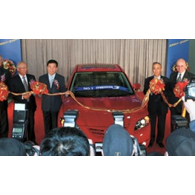 (autoinsidernews) - Mazda Motor announced that Mazda3 production restarted in China today after a suspension of almost seven months. Mazda's spokesman said the automaker could not disclose other details, including when sales would start and through what channel, reports Trend. Mazda had voluntarily stopped producing the Mazda3 at its Chinese joint venture plant on April 7 after just six weeks of production, citing a flaw in the process of acquiring government approval for production and sale. After a review of documentation, Chinese authorities notified Mazda that part of the application regarding vehciles sales through a network operated by another local joint venture was incomplete.